The Aranui 5 is the ultimate passenger – freighter hybrid. Accommodating just 254 passengers, the vessel provides a unique small ship cruise experience in combination with an active cargo service to the remote Marquesas islands. The Aranui 5 remains a lifeline of the inhabitants of these remote islands, located approximately 1400km north of the island of Tahiti and often only accessible by boat. 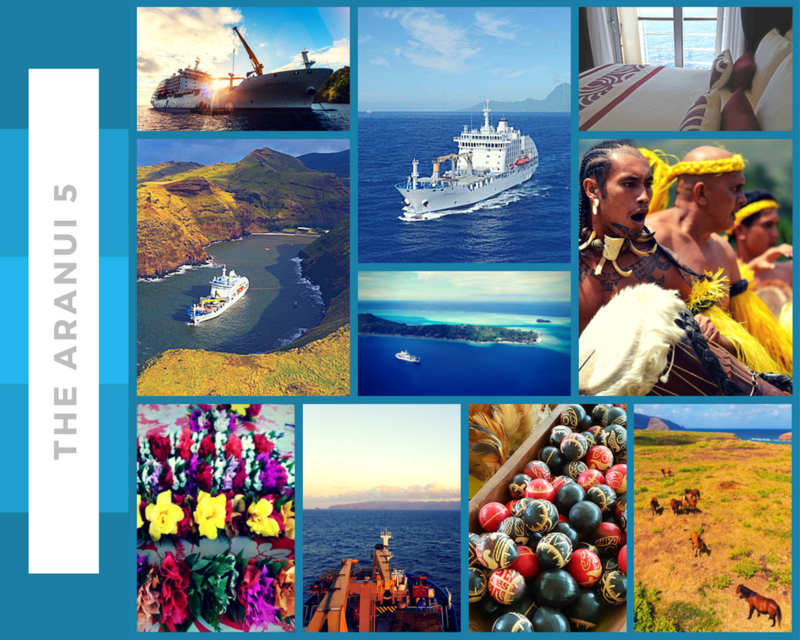 Our Aranui 5 cruise itineraries are typically 18 nights, with 14 nights aboard the ship and 4 nights required in Tahiti pre-and post-cruise. This type of trip is suited to our adventurous clients keen to visit the paths less travelled in French Polynesia with a touch of comfort thrown in onboard! You’ll experience a unique and vibrant island culture and be welcomed by a warm & passionate population. You’ll visit 6 Marquesan islands, 2 atolls in the Tuamotu Archipelago as well as a stop at the iconic island of Bora Bora on your return route. Our itineraries are all inclusive of meals and activities aboard so you’ll just need to budget for your inevitable pearl purchases! An Aranui 5 cruise adventure is unique in every way and cannot be compared to any other cruise experience on offer. Insert superlative forms of AMAZING here! !